Across the street from the Towson Town Center Mall, next to the AMC Theater. There are lots of places to eat and drink here in Baltimore--but none of them are quite like BJ's Restaurant & Brewhouse! 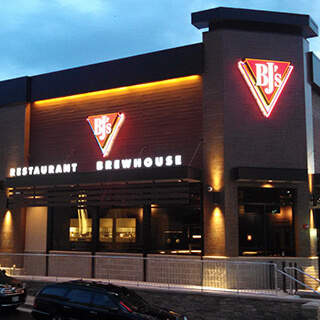 Whether you're here for our great food, amazing beer, or inimitable atmosphere, you'll find that BJ's is a place you'll want to visit again and again. 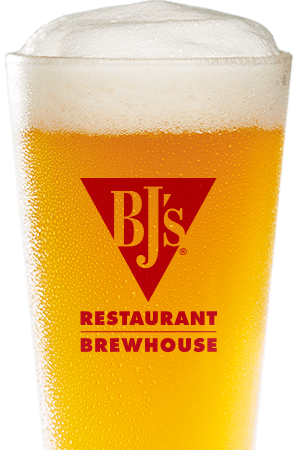 BJ's Restaurant & Brewhouse is known around the country for the amazing beer selection we offer. No matter what kind of beer you like best, you'll find great hand-crafted options here at BJ's! 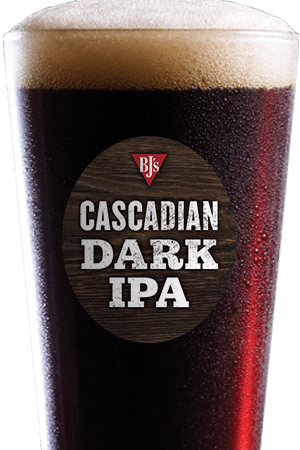 From our intensely hoppy HopStorm IPA to our smooth and sweet BJ's PM Porter, from the intriguing and refreshing Harvest Hefeweizen to strong and complex Jeremiah Red, BJ's has a beer for every palate. We even carry a tastier alternative to mass-produced light adjunct lagers: our LightSwitch Lager! 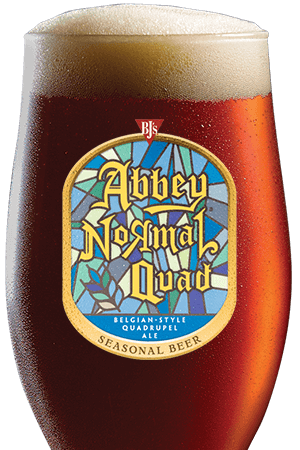 Try our seasonal beers for even more deliciousness! Do you like food? Then you'll love BJ's. We're perhaps most famous for our Signature Deep Dish Pizza, which adds a Southern California twist to Chicago-style deep dish pizza to create a new and exciting style that's available in great flavors like Chicken Bacon Ranch, Gourmet Five Meat, Mediterranean, Spicy Hawaiian Chicken, and more. Start the night off with one of our Shareable Appetizers or BJ's Snack & Small Bites, or just jump right in with one of our great entrees--we have a great variety, from Garden Fresh Specialty Salads to USDA Steaks and Ribs, and so much more. Don't forget to save room for dessert: you'll love our famous Pizookie! Here at BJ's Restaurant & Brewhouse, we strive to create an environment that works great for all kinds of purposes. Business lunches, dates, and family birthday parties are just some of the many reasons people come to BJ's--or you can just slide up to the bar, grab a drink, and watch the game. Our atmosphere is exciting, energetic, and fun--all without being frantic or overwhelming. We think you'll love it here at BJ's Restaurant & Brewhouse; stop by today! With over 15 flatscreens, we're the best place to enjoy your favorite sporting event.